Supriyo's comments come in the backdrop of the Congress' allegations about the Narendra Modi government's involvement in Rafale scam. “India is facing an unprecedented situation where the major opposition party – Congress- has based its campaign on lies. It is an illusion of Rahul Gandhi that all these lies would turn into truth. All his allegations of Rafale, Mehul Choksi, Nirav Modi are falling flat,” he told PTI in an interview. The Union Minister of State for Heavy Industries said fugitive diamantaire Nirav Modi and Mehul Choksi fled the country during the BJP rule as they were aware that “neither the Gandhi family nor the Congress ministers could save them” from the law. His comments come in the backdrop of the Congress’ allegations about the Narendra Modi government’s involvement in Rafale scam and helping industrialists like Choksi, Vijay Mallya and Nirav Modi in fleeing the country after failing to repay loans taken from various state banks. “The arrest has exposed the web of lies spread and created by Rahul Gandhi. He has accused the government of not taking enough action, but the fact is it was during the UPA regime that loans were sanctioned to Nirav Modi, Mehul Choksi and Vijay Mallya,” Supriyo said. They had left the country as there was no arrest warrant and their passports were not confiscated, he said, adding it was the “political resolve of the present government to bring them back and put them to justice even in foreign countries”. “Each time we bring the fugitives, who grew under the pampering of the UPA and the Congress, it is going to be one tight political and ethical slap on the face of Rahul Gandhi,” the BJP leader said. “Let us not pay any heed to any speculations. I am very sure, we are going to see Modi ji taking oath once again as the Prime Minister and a stable NDA government, with the BJP having the majority, is going to be re-elected,” he said. He said the Trinamool Congress (TMC) should expect the unexpected in this election as it will be the “curtain raiser of the BJP” ahead of the 2021 assembly polls in the state. “People will vote for BJP to end the tyranny and reign of fear of the TMC. 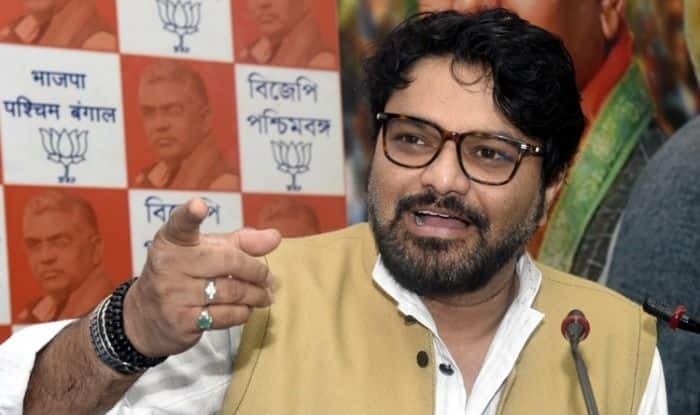 Expect the unexpected in this elections,” Supriyo, who is pitted against TMC’s Moon Moon Sen from Asansol Lok Sabha seat, said. “There is no discontent in BJP. People who want to fight Mamata Banerjee’s tyranny, people who want to mend their ways are welcome in our party,” he said. Protests erupted in various districts of West Bengal after the BJP released its list of candidates. Party workers hit the streets over discontent regarding the selection of candidates. BJP Bengal unit vice president Raj Kamal Pathak recently submitted his resignation over denial of ticket.